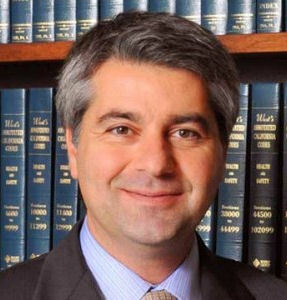 Bankruptcy Information from an Experienced Local Attorney. Bankruptcy Information to Make an Informed Decision About Bankruptcy. Filing bankruptcy is a difficult decision to make. Information about bankruptcy can help you make the informed decision on when to file, under what chapter to file, and how you can protect all you assets. We can help you decide if bankruptcy is the right choice for you. I hope you would find all the bankruptcy information on this website helpful. But please consider calling us and scheduling your free consultation. Each case is different and small variations can affect when and under what chapter your should file your bankruptcy. You can learn about the process of filing bankruptcy and how bankruptcy can help you get the fresh start. Call or schedule your free consultation with us. We have been practicing bankruptcy in California since 1997. Bankruptcy Information about your Rights Under the United States Constitution. Bankruptcy is the uniform federal law that governs all bankruptcy cases in all states including California. The bankruptcy court is a federal court and as such all bankruptcy cases are prosecuted in federal court. Bankruptcy is a right granted in Article I, Section 8, of the United States Constitution. Congress enacted the Bankruptcy Code in 1978 . The Bankruptcy Code, which is codified as title 11 of the United States Code, has been amended several times since its enactment and was last amended in 2005. 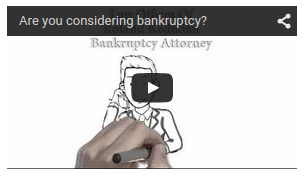 Bankruptcy Information about Bankruptcy Procedures. The procedural aspects of the bankruptcy process are governed by the Federal Rules of Bankruptcy Procedure (often called the “Bankruptcy Rules”) and the local rules of each bankruptcy court. The Bankruptcy Rules contain a set of official forms for use in bankruptcy cases it is often referred to as the bankruptcy petition package. The Bankruptcy Code and Bankruptcy Rules (and local rules) set forth the formal legal procedures for dealing with the debt problems of individuals and businesses. There is a bankruptcy court for each judicial district in the country. Each state has one or more districts. The district that handles bankruptcy in southern California is the of the 9th Circuit Central District court.Much of the bankruptcy process is administrative, however, and is conducted away from the courthouse. In cases under chapters 7, 12, or 13, and sometimes in chapter 11 cases, this administrative process is carried out by a trustee who is appointed to oversee the case. Bankruptcy is an Administrative Process. [I]t gives to the honest but unfortunate debtor…a new opportunity in life and a clear field for future effort, unhampered by the pressure and discouragement of preexisting debt. Local Loan Co. v. Hunt, 292 U.S. 234, 244 (1934). This goal is accomplished through the bankruptcy discharge, which releases debtors from personal liability from specific debts and prohibits creditors from ever taking any action against the debtor to collect those debts. The bankruptcy process is complex and relies on legal concepts like the “automatic stay,” “discharge,” and “exemptions.” It is important that you consult with an experienced bankruptcy attorney to obtain accurate bankruptcy information and make an informed decision.